I heard the phrase on the news again. I never want another person to have to go through what I’ve gone through. It’s a phrase I hear often on the news. Someone was treated unfairly. Someone’s child was bullied. Someone lost a loved one too soon. Someone was swindled out of their life savings. Someone lost everything. Someone was the victim of a crime. And the list goes on. We never want others to experience the same difficulties we’ve faced. So we share our story. Hoping someone will learn lessons we learned too late. Hoping our loss will help steer someone clear of the same grief. Or teach them how to cope better than we did. Does it work? Our sharing? Do others listen and learn from our tough times? We only hope they do. Because we’ve learned from those times that we can survive. We’ve learned some wounds will heal and become scars. Reminders of our suffering. We’ve learned we must forgive. We’ve learned that life goes on. Even when we feel that we can’t. But we do. What if we would say this. I don’t want anyone else to go through life not knowing God. I don’t want anyone to live life thinking they have to be self sufficient. I don’t want anyone else to live without God being their source of strength. I don’t want anyone else to die without being ready to meet God. What would I have to do to make sure that happened? If only everyone knew that in times of grief, God will give sustaining grace. If only everyone experienced the peace that comes with God’s forgiveness. Do people know that God doesn’t lie? When God makes a promise, He keeps it. Always. Does everyone know that God forgives and forgets? Does everyone know that God is three in one? God the Father. God the Son, Jesus Christ. God the Holy Spirit. They’re all different, but they’re one. Does it work? Our sharing of our faith? Does sharing how God will never quit loving each of us and that He’s always available make a difference in someone else’s life? I hope and pray that it makes a difference. Otherwise. People will be lost. People will live without hope if they haven’t heard that God loves them. We should tell our story. Our hurts. Our fears. Our shame. Our successes. Our failures. Our losses. Our redemption. 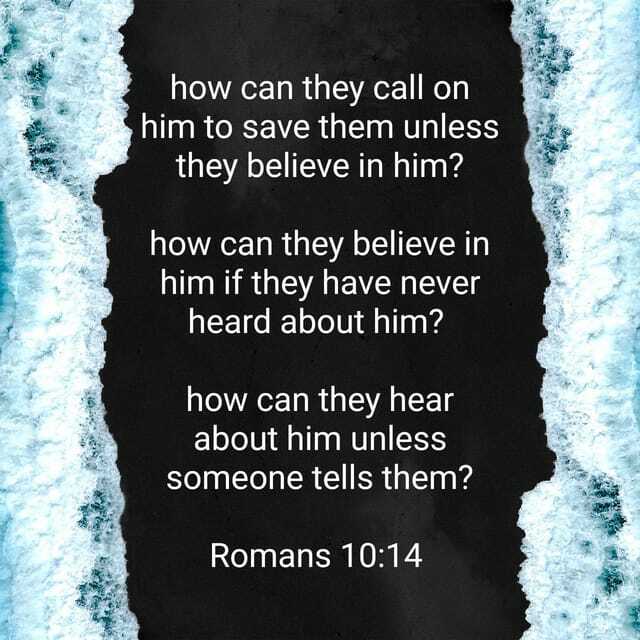 How else will others know salvation is worth it? How will someone else know that a relationship with God is the most important one they could ever have? How will the world know unless those who walk with Christ lead others to him? There is a great commission. Go and tell everyone that Jesus Christ is Lord of Lords. That Jesus died for them. That he wants to spend eternity with them in heaven. That they can escape hell. I was asked to take on a new client at the last minute. I knew the two owners, my employers, would also be on the conference call. Me. The newbie. Them. The experienced owners. No pressure. So I took the little bit of time I had and prepared. I’m not the spontaneous type. I’m methodical. Calculated. Deliberate. I don’t normally do things on the fly. Oh. I do if I have to. But the fly doesn’t seem to go well for me. But I couldn’t say that. I couldn’t let them see me sweat. I couldn’t let them hear the nervousness I was feeling. So I did the one thing I do. I prayed. I asked God to empower me with boldness. I asked him to enable me to calmly present the information. I asked him to equip me for the work ahead. Faith in God is liberating. Faith allows God to do the work that my fears and worries would only stifle. And God came through for me. Instead of fear and nervousness, I was calm and relaxed. Oh. The majority of the work is still ahead. But it will get done. There may be more long work days ahead. But the task is for me and I am equipped. 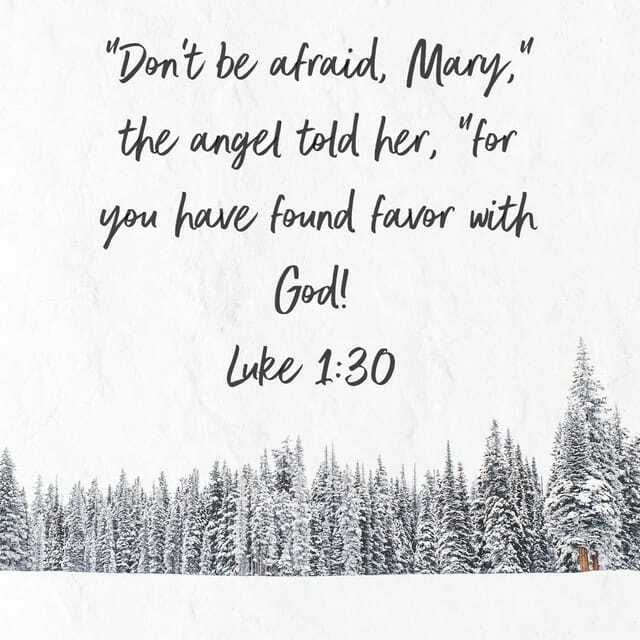 Mary heard the Angel’s message. You are favored. You will conceive and bear a son. You will name him Jesus. 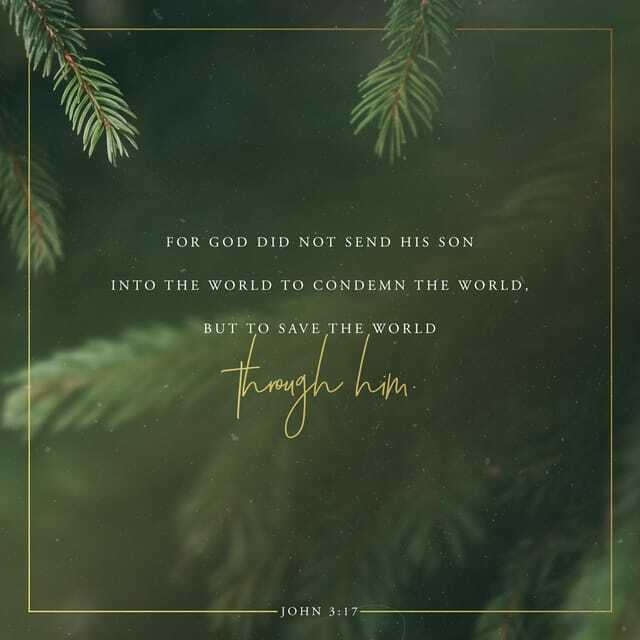 He will be the Savior of the world. I’m sure she was alarmed. I’m sure she felt inadequate. But she also felt called and blessed among women. Mary didn’t whine or complain about the assignment from God. She accepted the call to be the mother of the God child. The angel had told her about her cousin, Elizabeth, who was pregnant at an old age. He said that the word of God will never fail. Nothing is impossible with God. And Mary accepted the news without a backward glance. She was all in. In spite of being outside her comfort zone. There was no turning back. Mary spent some time with Elizabeth, who was also unusually pregnant at an advanced age. Their boys would cause the world to stand up and take notice. And Mary was thankful that God noticed her. Oh. I haven’t been asked to bear the Son of God. But I have been noticed by God. He sees all that I do. He leads me in paths that I might not choose. But I choose to take the path where He leads. I’ve been asked to take on responsibilities that seem to stretch me every day. But I know God has led me there, so I’m all in. Regardless of the difficulty and unsettledness that others feel there, I am at peace. Oh. The peace comes because I continue to ask God to help me. I continue to ask God to work in me and through me. And He does. Even though the angel hasn’t visited me, words of truth and comfort are whispered to me from the Lover of my Soul. 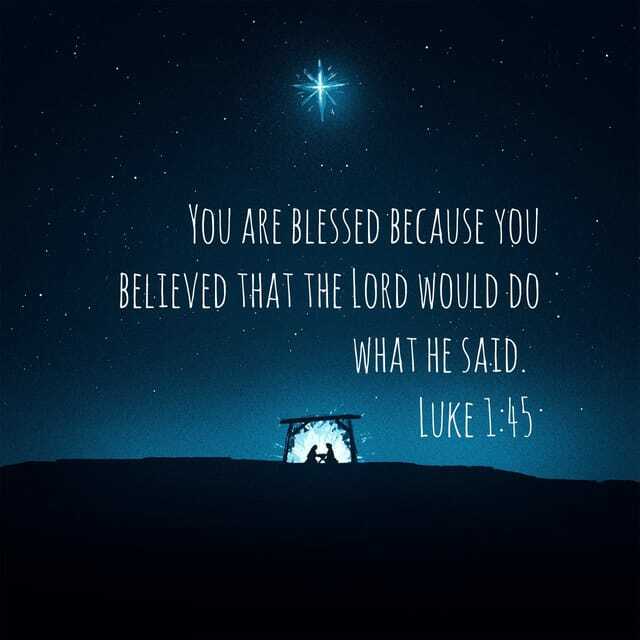 So no matter the difficulty of the task I’ve been given, I am blessed because I believe the Lord will do what he says. Nothing is impossible with God. Imagine being Joseph. His fiancee runs off to visit her cousin. She’s gone for three months. And when she returns, she breaks his heart. Oh. She isn’t dumping him. She tells him she’s pregnant. Makes a man wonder what his girl has been doing for those three months she was visiting her so-called cousin. He knows without a doubt that the baby isn’t his. Because they haven’t. She says the baby’s father is God. How is a man supposed to believe that? Can he trust her? After all, they’re engaged. Not married. Should he just break up with her and move on? Even though they aren’t married, breaking up would still signal a divorce. Because he knew. He knew if he agreed to marry her, the people of their village would spread the rumors. Oh. That couple. They didn’t wait until they married. But they can’t prove they were waiting. Because now there is a baby on the way. What if God asked the impossible of you? Would you be willing? If God asks you to move out of your comfort zone, would you? How far out of your comfort zone are you willing to go, even if it is God who’s doing the asking? The baby wasn’t his. He knew it. She knew it. Did everyone else know it? He wanted to divorce her. Quietly. Not make more of a public spectacle of her than she already was. He could. You know. But the dream was so real. The angel was right there. Marry her. He said. She speaks the truth. She has been faithful. This child is God’s. Name him Jesus. Joseph actually heard from God in a dream. So he did it. He married her. Knowing what everyone would say. This man. Joseph. His betrothed was carrying the Son of God. How was he to be a father to God? He wasn’t qualified. He was just a carpenter. How could he do this? Would this child want to become a carpenter? If he and Mary were fortunate enough to have their own sons, how would they compare? Would others be able to tell the difference between God’s son and Joseph’s sons? How is one to be faithful when the world says to run the other way? Joseph didn’t know God’s plan. Joseph didn’t know that God’s Son was to be born in the lineage of King David. Joseph was in that lineage. God’s plan worked out perfectly. No. Joseph wasn’t the biological father, but he fulfilled the plan God had laid out for him. Oh. It wasn’t Joseph’s place to be in the spotlight. He didn’t have the leading role. But support roles provide stability and depth for the leading role. It wasn’t his birth that was announced to the shepherds. It wasn’t his death on the cross. His role may seem small, but really. His role was father. Role model. Family leader. Bread winner. Not much is written about him, but words aren’t enough. He did everything by being faithful to God’s plan. What seemed impossible for him was made possible through God’s purpose and leading. Sure. Joseph doubted at first. He even considered saying no. But when that angel appeared in the dream, he realized this was God at work. God was fulfilling the promise and prophesies that had been passed down for so long. And Joseph was part of the plan. God was using Joseph to raise this God child. Oh. My role may not be as leader. I may be the supporting role in a much bigger plan. There are times I don’t feel worthy of the role I’m playing in God’s plan. There are times I would choose to step aside. But God who calls is also faithful. If he calls, he equips. And in that equipping and following the plan, I find that God is so much more than a word so often used in vain by many. 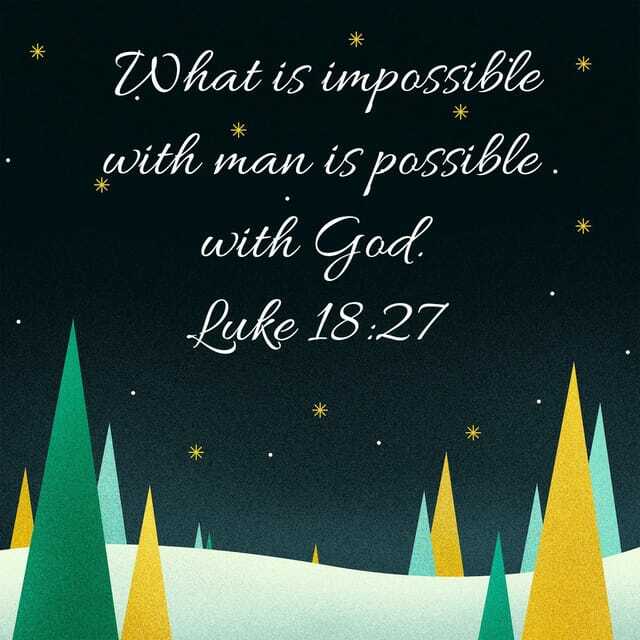 God makes the impossible possible. All I must do is believe and trust. And obey. They say she’s pregnant. Everybody is spreading the rumors. Oh. She’s engaged to that guy named Joseph. She says she’s a virgin. But she can’t prove it. I bet her parents are mortified. She should be so ashamed. I wonder what will happen now. He doesn’t have to marry her if the baby isn’t his. Rightly so. She’s so young. So much to learn about life. and love. How will she manage if Joseph pushes her aside. Quietly divorces her. She would be a single mother. Shunned for sure. But that angel. Gabriel. He said this baby was God’s son. He said she was honored and chosen. She was favored among women. So why do the neighbors look at her so shamefully. She has nothing to be ashamed of. and no way to prove it. How do you stand up for the truth when it looks like you’re not being honest? How could you be favored and forsaken at the same time? She left home to visit her cousin Elizabeth. The angel who visited Mary had told her that Elizabeth was also having a baby. That same angel had also visited Elizabeth’s husband six months earlier. Now Elizabeth was also pregnant. Elizabeth was considered too old to have children and Mary was too young. But they were both miraculously pregnant, and their sons were God’s chosen to spread the good news. God planned each of these pregnancies. God chose the names of these two baby boys. Elizabeth’s son was John. Mary’s son was Jesus. John’s purpose was to prepare the way for Jesus. Jesus’ purpose was to die for our sins. Mary could have withdrawn in fear. But instead she visited her cousin who immediately recognized she was carrying the Son of God. She could have felt rejected by man. But instead she rejoiced at the favor God had shown her. Did Mary realize how much love her Heavenly Father had for her? Did she realize that when she was weak, he would make her strong. Did she know that He would fill her with his power to raise this God child? Did she know that He would comfort her years later when she walked through the storm of losing this firstborn son. After all, her son was the hope of the world. He was the promised Messiah. Gabriel told Mary that the word of God will not fail. She believed him. She trusted him. She was all in. Regardless of the consequences. If she had known then what she later learned in life, would she have been so willing? Would she have felt so favored? Would she have called herself blessed among women? Mary could have refused, but she willingly accepted the gift she was offered. She didn’t even hesitate. She felt honored and blessed to be chosen to carry the Son of God. I think of the gifts I’ve been given by my God. I am called to use my gifts. Do I feel honored and chosen for the gifts I’m given? After all, I’m not asked to bear the Son of God. Why do my gifts feel so heavy at times? Is that how Mary felt? Did her load become more than she could bear? The thing is. Mary was favored, but her life wasn’t easy or pain free. God didn’t leave her once she was pregnant. He stayed with her and walked with her through the path of motherhood and life. He empowered her and equipped her to do the work he laid out for her. Why wouldn’t he do the same for me?